Iberville Shale collected from the shores of Lake Champlain in VT. Iberville Shale is millions of years old when Vermont was under the ocean. This stone is set in a handcrafted fine silver bezel. 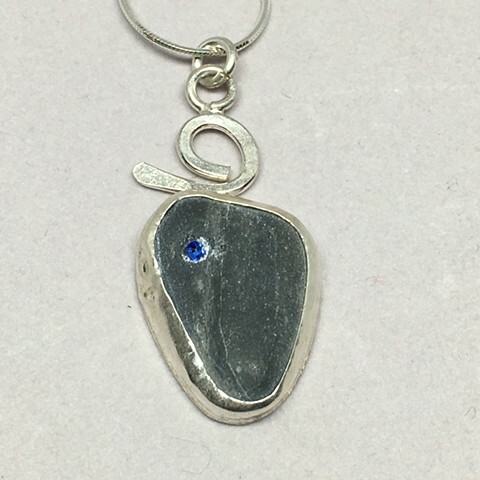 A small blue crystal has been inserted in a corner of the stone.